The holiday season can make it difficult to keep up with your usual level of fitness and nutrition. Whether you’re planning for a family visit, Black Friday shopping, or stuck in the kitchen preparing food, this time of year can make it easy to get caught up and lose sight of our health. It is important to keep in mind that we need to stay healthy to be able to get through the holidays in full force. Come to dinner hungry, but not starving - Instead of fasting all day for the big meal, eat breakfast and a small lunch so you don’t eat until you explode come dinner time. Make sure to have a colorful plate - Be sure to include a lot of veggies and lean meat. Turkey is a great source of protein as long as you avoid the skin. Get out for a walk - Going for a walk after your meal will aid in digestion, avoiding stomach pain, cramps, and gas pain. Participate in a turkey trot - On Thanksgiving morning, there is turkey trots in almost any town, which is usually a 5k run or walk. This will make some room for your Thanksgiving meal and make you feel less guilty about eating a lot of food. Play some football - Football is an American pastime and is a popular Thanksgiving day activity. Get out and toss the pigskin before you head over to the family’s house, while dinner is cooking, or after your meal to get yourself moving! Workout at home - If the gym is closed on Thanksgiving day, consider some in-home workouts to do before you begin the festivities. Simple workouts can include any bodyweight exercises such as push-ups, sit-ups, or body squats. Whatever you decide to do to maintain your nutrition this Thanksgiving season will benefit you in some way. Although this is the time of year to binge, we must keep in mind the importance of nutrition if we want to stay on track to a healthy lifestyle. 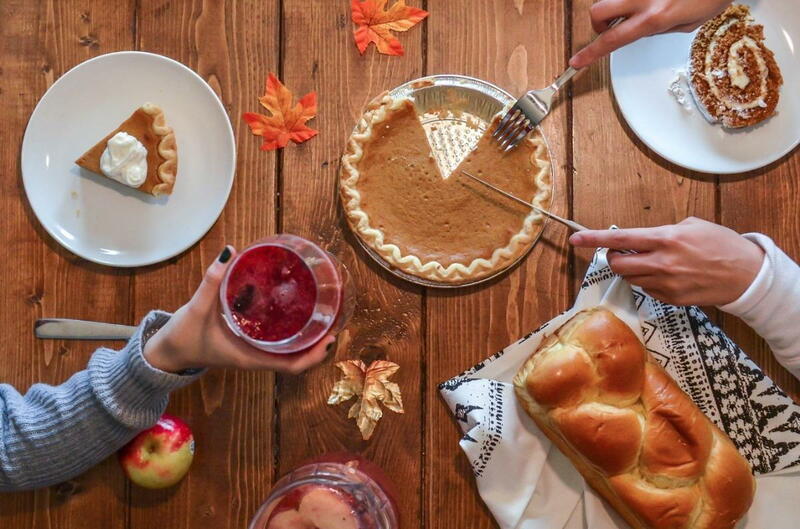 Whether you are finding ways to make Thanksgiving dinner more healthy or making time to exercise, you should still enjoy the day with your family and loved ones. Thanksgiving is a time to be thankful for all that we have in our lives, and we should never lose sight of that!